Georgia Childhood Movin' to Town Buchanan, Douglas County, Villa Rica Livin' n' workin' in Atlanta Two Become One Baby Makes Three Homemaking Steady Job at Last Operator, may I help you? 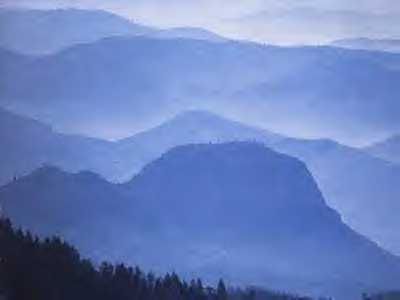 I call the beautiful mountains of East Tennessee home and have for over forty years. But I was born in the state of Georgia and walked her red dirt fields and roads with my brothers and sisters. While we lived deep in the country, one tiny premature sister left us after only five days. Our dad sharecropped for various landowners and in off seasons worked at hosiery mills, cotton mills, and sawmills. When I was about fourteen my family moved to a rented house near the town of Douglasville, and six months later to Villa Rica, GA. A baby brother who lived only six months was born not long after we moved to Villa Rica. My youngest sister was born there a year later. With her, eight of us survived to adulthood and are still around to annoy each other! At that time, 1952, the small town of Villa Rica boasted around three thousand souls. Quite a few more live there now, and with Atlanta's tentacles reaching out, having assimilated Douglasville and all the other small towns between them, the number is certain to grow! My older sister, Doris, and I entered Buchanan High School, in Haralson County and were there for half the first year, before we moved to Douglasville. We finished ninth grade at Douglas County High and then Daddy moved the family to Villa Rica. Maybe he got tired of moving us around, for we stayed in the same school district three years and I finished high school there. 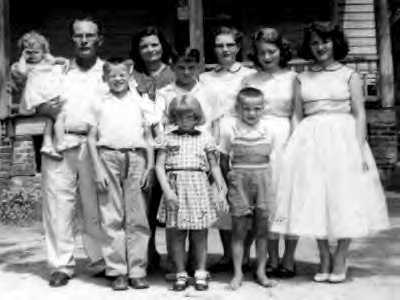 After I was married, the family lived briefly in Atlanta, then returned to Villa Rica and the rest of my brothers and sisters also were graduated from Villa Rica High School. I enjoyed my years at VRHS and made many wonderful friends. My Senior Class was quite small. Twenty seven young men and women, including myself, went forth into the world upon our graduation in 1955. The class has had several reunions in the forty-seven years since that event. We enjoy catching up with all the news. Several of our number died at a relatively young age and we mourn their passing. After high school graduation, I was hired by a plumbing and heating supply company in Atlanta, GA and worked in their billing department. I had moved to their bookkeeping department when my future husband came to work there on the city sales counter. He was a Tennessee native, not long out of Uncle Sam's Navy. We dated a few months, then decided to get married. His oldest sister, Iola, and their mother came down to GA for the wedding. His sister, Jean, was already in Atlanta, her husband worked at the same company we did. They became lost driving to Villa Rica from Atlanta and missed most of the big event. They arrived after we had exchanged vows and were taking pictures. Nonetheless, they welcomed me into the family and the marriage has lasted forty-five years. My sister-in-law and her husband took their baby son, who was born a couple of months before I married her brother, and moved back to Tennessee. We stayed in Atlanta for two more years. My husband left the plumbing and heating company, worked several similar jobs and I worked for a while in a bank. We were blessed with a beautiful baby daughter. With the loss of yet another job, my husband and I decided to move to TN, back to his roots, in hopes of a better life. We lived with his parents for several months, then moved into an apartment. After his father's death a year later, in 1962, we moved back in with his mother, where we stayed for twelve years. The house was in a nice neighborhood, close enough to town that I could walk, as I didn't drive at that time. I was determined to give my daughter the stable home that I'd never had, of living in one place for more than a few months at a time. Until after I graduated from high school in 1955 and moved to a boarding house in Atlanta, I'd never lived in a house with indoor plumbing or central heat! Can you say rustic? I knew that people in towns had such things, but we always lived in the country. I knew, sort of, how to make biscuits, but I learned how to make pie crusts. Pretty good, too! Sunday beef roasts. Oatmeal with brown sugar on it for breakfast. Half of a grapefruit. Turkey and dressing at the family Thanksgiving meals. Talk about culture shock. My family didn't eat like that, always had biscuits and gravy at breakfast. Coffee is the same everywhere, I suppose, and I'd been drinking that since I was ten! I learned much about homemaking by taking care of my mother-in-law's house. Cleaning house is about the same chore anywhere you live. My husband's family home was just a little nicer than my own family's, and bigger. But it kept me busy, so I could forget my homesickness and feel useful. I dried laundry on the outside clothesline and cleaned the many windows every spring. I looked forward to Friday nights, as we went to the grocery nearby, The Little Store, and also enjoyed a hamburger and fries at the lunch counter. This was our weekly night out to eat! The grocery store, somewhat of a local landmark, went out of business some years ago and the site now houses a furniture store. I became very active in First Baptist Church, working in Vacation Bible School, attending Women's Missionary Circle meetings and Sunday School class functions. Some dear and lovely ladies blessed me as Sunday School teachers. One of the dearest was Mrs. John (Rose) Dudney, now in Heaven. Through the church, I made many friends, which helped fill the emptiness of missing my family. Due to lack of finances, I was able to visit them only about once a year. The years passed, of course. Our daughter attended kindergarten, now called 'preschool', of course, at Broad Street Methodist Church on Church Circle, one of Kingsport's landmarks. Then she went on to the same schools her Daddy had attended as a child. She rode the city bus to Jackson Elementary School during some of the last years that Miss Estelle Carmack was the principal there. 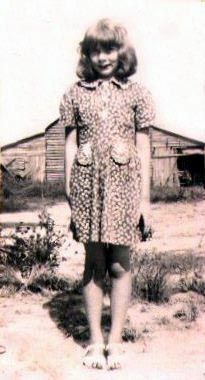 Single all her working years, Miss Carmack married after her retirement and seemed to enjoy several years traveling with her husband before he passed away. Unfortunately, during this time, my own parents were divorced after 37 years of marriage. After years of intermittent work in construction, surveying, and truck driving, my husband finally landed a permanent steady job at the Blue Ridge Glass Plant in town. The plant went through several name changes in the twenty-three years he worked there. It has been AFG Industries for some time. The work there was as hard as construction work, and dangerous, especially during the years he worked on the production line. Some men lost fingers, toes, limbs, but I prayed for his safety and he was never seriously injured. The next year I applied for a job as telephone operator at the local phone company, United Inter-Mountain Telephone. It has also gone through some name changes, now called Sprint. After three years as an operator, I transferred to a job in the equipment, first the 'frame' and then the switchroom. I had learned to drive the year before I started my job. Our daughter was now in middle school and I could drive her to school until I started working. The city had discontinued bus service by then. Fortunately the school was near enough for her to walk. My sincere thanks go to Lisa of ClipArt by Lisa and Dustie of Internet Clipart and GraphicsbyDezign for their generosity in allowing me to use their graphics. Their sites are excellent sources of high quality FREE graphics!